INTRO First fastlane business idea and excited about the future! Discussion in 'Forum Introductions (Who are you!?)' started by missNB, Jul 13, 2018. 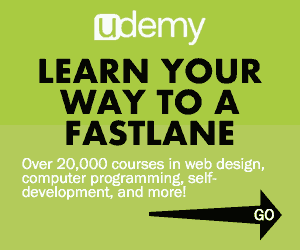 I'm brand new to the forum and joined after reading the fastlane book. I love that book!! I have read and listened to a ton of entrepreneur/self improvement books as educating myself is a hobby of mine, and the millionaire fastlane is by far the one that has sparked the most ideas and A-ha's in my world, and I'm recommending it to every entrepreneur in the making I meet. Thank you for the plain, no bs message @MJ DeMarco, greatly appreciated! I'm not just new to the fastlane forum, but really to online forums in general, and figured in here I can learn from fellow entrepreneurs while getting out of my comfort zone with sharing my wins and losses, and maybe even contribute to other awesome peeps with entrepreneurial heartbeats. So long story short, I have a background and education in medical science. I started my first business many years ago. It grew nicely, but not impressively. I decided to shut it down in 2012. 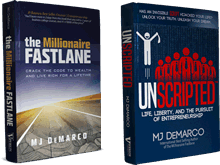 I had not read the fastlane yet, so I had created myself a 24/7 job with no freedom and I wasn't even making that much money! I discovered that if I was going to take that business to the level I wanted it to be at, I would probably make a decent income, but have no freedom in any foreseeable future, be stuck at the same location every day, working with the same people every day and dealing with pretty much the same type of customer, and even after 5-10 years of all that, the business would still be hard to sell without a contingency of me staying on. So I fired myself and shut it down. Since my first business, I have learned a lot from some valuable jobs, and even some other business ventures, but none have had the design or potential for greatness. I am currently working full time in product development, sales and marketing for a big multinational company and loving the freedom and learning it allows me while providing a good income. I always have a million ideas, but after reading fastlane I finally found a way to rein in my million mph brain and focus on specific action steps and evaluation systems of all my ideas to make a rational decision about if/what/how to start again. So the last couple of weeks I have been analyzing three different business ideas to decide which one to go for, and one of them is keeping me up all night with ideas, features and USP's coming in, so it looks like I have a winner. I just started three weeks of vacation, so I know what I'll be doing. Anyway, just wanted to say hi and let you all know a little bit about me, and I am looking forward to getting to know you and what you're up to through the forum as well. I'm buckling up, ready for the fast lane way! Intax, jon.a, visiomari and 1 other person like this. Well, a very warm welcome to you. It's definitely nice to see somebody who actually puts in effort when introducing themselves and goes the extra mile. I'm more than certain, that with your type of mindset, you'll fit in perfectly. In regards to your business idea, why not create a separate thread and talk more about it on there? Obviously, don't go into crazy amounts of detail, but just cover it so we get a vague idea. That way, you'll be contributing to the forum in a positive way and you'll probably come across someone who can give you helpful advice that you can use and it might just be the little push your idea needs to reach the next level. Nevertheless, welcome and enjoy your stay. Thanks for your warm welcome @Akeem! I will definitely share and update on my idea/progress in a different thread. I have read a few other progress threads and it's super interesting to follow. Would love to get some helpful advice and feedback along the way as well.